Wow…I just checked the calendar and I have 20 cards to make before the Fourth of July! I better get (fire) crackin! 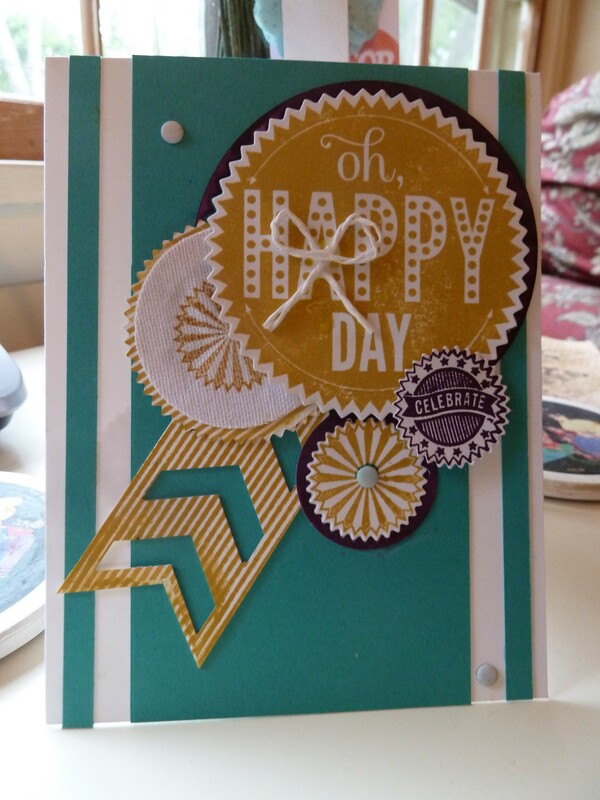 Here is the first one using Stampin Up products – the Starburst Sayings and matching dies. Very sad this set is going away on June 1. I’ve made some cute cards with it and no two ever come out quite the same. Used Bermuda Bay, Hello Honey, and Blackberry Bliss inks with Bermuda Bay and Whisper White papers. Like the one circle stamped on a piece of canvas I had sitting out from another project. Adds some nice texture. I’ll be back with more! This entry was posted in Cards, SU Only and tagged Starburst Sayings. Bookmark the permalink.